Curious how other marketers hack it? Looking to talk about email campaigns with your fellow analytics nerds? Interested in finding new photographers or experts to join your team? 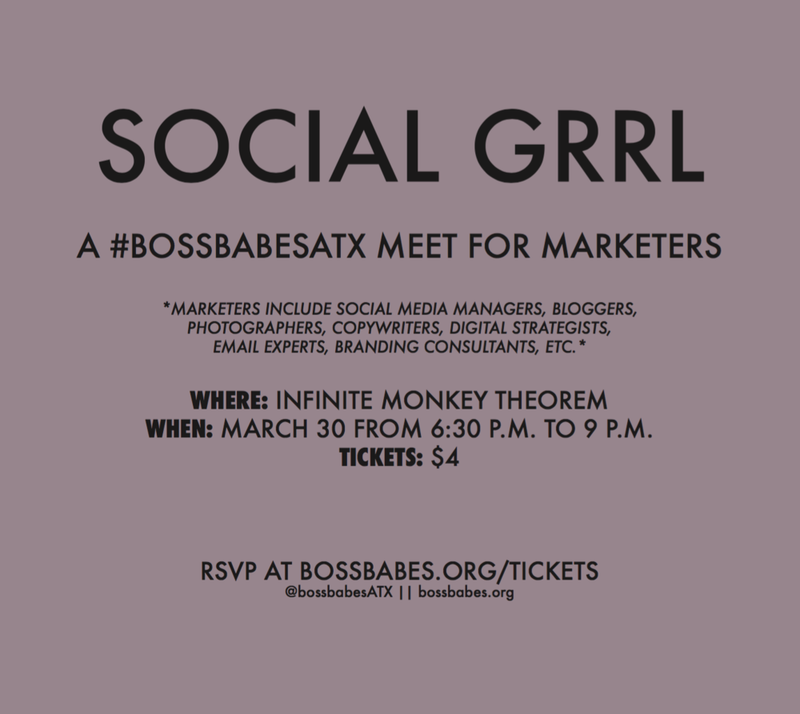 Welcome to SOCIAL GRRL, a #bossbabesATX meet for marketers. Join us on March 30, 2016 at Infinite Monkey Theorem from 6:30 PM to 9 PM for mingling, wine and networking prompts. Tickets are $4 pre-sale, $6 at the door.